As a keen runner and lover of my beautiful city of Edinburgh, I couldn’t resist getting involved in The Run in the Dark, taking place world wide on the 12th November in various cities at various times, in the dark (as the name would suggest). 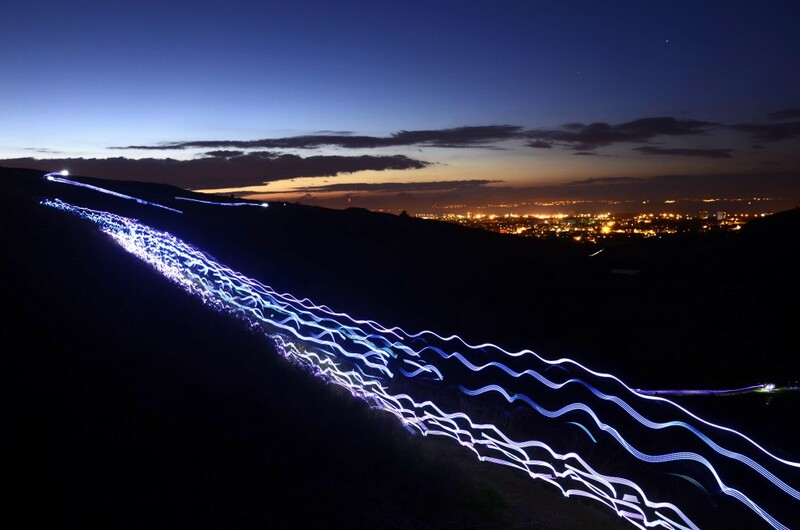 As darkness descends around the world, thousands of runners will be heading out, all raising money for The Mark Pollock Trust and having a load of fun doing so. There are 5 official locations in the UK, and Edinburgh will be a pop-up version run by yours truly, so join me and loads of other runners for a fun and interesting way to explore the city, at night. The start and finish line will be located at the Crowne Plaza Edinburgh – Royal Terrace, 18 Royal Terrace, EH7 5AQ, feel free to leave bags or warm clothing for afters with the reception team. The 5km run will take us down to Holyrood Park and through Hunters Bog underneath Arthur’s Seat to enjoy the pure dark and back up past the Palace of Holyroodhouse and the New Calton Burial Ground back to the Crowne Plaza, while the stoic 10km runners will loop around once more. For your own safety please bring along a head torch or hand held torch with you as certain parts of the route are not lit. After the race has finished all runners are encouraged to reunite at the hotels’ Terrace Bar for the ‘obligatory’ night cap. Whether you are completing the 5km run or 10km run, please aim to arrive at least 15 minutes in advance of the start time (8pm) so that we can ensure everyone will receive their flashing armband and have a group photo before we go running! Goody bags will be handed out to all participants after the race. Oh man, wish I could be there. Visited Edinburgh in June and absolutely loved it. Can only imagine how mind blowing it’d be to do a night run in Edinburgh!